Hello! My name is Serge K. Keller, FCD. I'm a scientific and technical journalist, a freelance writer and translator, a graphic designer and desktop publisher, and a webmaster. In other words: I'm a wordsmith and a pixel craftsman. I'm also a former biologist, and used to be a zookeeper, and I've kept a strong interest in natural sciences. I remain a staunch, bearded Darwin groupie. In my free time, I direct some amateur theatre plays, or play on stage myself. Bicycle touring, travels, photography, cinema and reading (I'm a tsundoku black belt) also count amongst my personal interests. I live in Fribourg (the one in Switzerland, that is), a very nice bilingual city (French/German) that is still human-sized. But I grew up in the Italian-speaking region of Switzerland. If you wish to contact me, I can understand French, Italian, English and German: your choice! Sadly, alternatives means of communication, such as carrier pigeons or smoke signals, still seem to be a bit less reliable. To stay on the safe side, please stick to e-mail for the time being. Creative & communication agency - Writing and translation, communication, layout, publications, web design and development, web accessibility, training and IT support, consulting in new technologies. Institutional promotion, studies promotion, communication specialist, web specialist. Creative & communication studio — illustration, graphic design, print layout, editing and publication, web design and development, communication, accessibility, IT training and consulting, copy-writing, translations and proof-reading. Freelance journalist for «unireflets» and «Universitas». Print design & layout, web publication & development; web expertise, information architecture, accessibility & usability expertise, knowledge management. 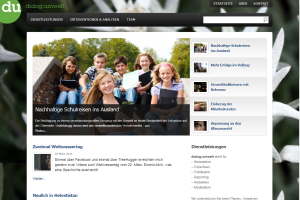 Code and content upgrade of the Swiss Youth Hostels website, to conform it to accessibility standards. Web development and webdesign, web publishing, text writing and editing, copywriting, scientific and technical translations, internet information monitoring, web expertise and online communication expertise. N.B. : the communication agency dialog:umwelt GmbH was registered at the trade register under the name «Publizack GmbH» until October the 29th, 2010. 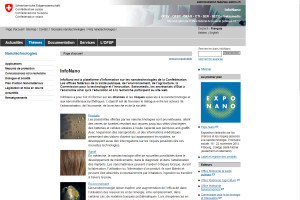 Web publishing, scientific and technical translations, web expertise and online communication expertise. Web hosting and small publishing association (non-profit): hosting and publishing services, system administration, end-user support and training. Web content migration, web publishing, IT expertise, etc. Web content migration, web publishing, web integration, accessibility and usability expertise, information organisation and architecture. Graphic design and layout for various printed publications. Editor and freelance journalist, responsible for the «IT Feed» and «Technology» columns. Freelance journalist for the «Swiss IT» monthly column and for various other special features of this (now defunct) tech magazine. Animal keeper (wolves, ungulates, rhinoceroses, etc.) and «Futtermeister»-assistant. Certificate of Advanced Studies (CAS) in New Web Technologies and Web User Interfaces, at the Knowledge Engineering and Space Logics Institute (ICLE) of the Computer Science Centre (CUI). Subjects: Principles and core Web technologies / Web information management: databases and data exchange / User centered design: needs analysis and prototype testing / Web 2.0 technologies and the Semantic Web / Knowledge integration project: design and implementation of a Web application or a website (final project). Other activities and affiliations: editor-in-chief of Spectrum, the University students' newspaper and AGEF's official voice (1998-2001); support, training and hardware sales for micromus, IT services for University students (1999-2001); reporter, radio host and radio editor for Unimix, the University students' radio (1999). Scientific assistant in Vertebrates anatomy, Vertebrates eco-ethology and propedeutical medicine (1st year students) at the Institute for Biology (1994 - 1996). Other activities and affiliations: Théâtre du Grenier (1995); Théâtre Universitaire Neuchâtelois (TUN) (1993). Federal maturity - 2nd Prize. Other activities and affiliations: Gruppo di Teatro del Liceo di Lugano 2 (1986 - 1987). There are many information fairs and forums in Switzerland dedicated to the guidance of future university students. All universities, including ours, draw from this pool to recruit their future students. Serge Keller, from the Communication service of the University of Fribourg, participates every year to a series of student fairs. 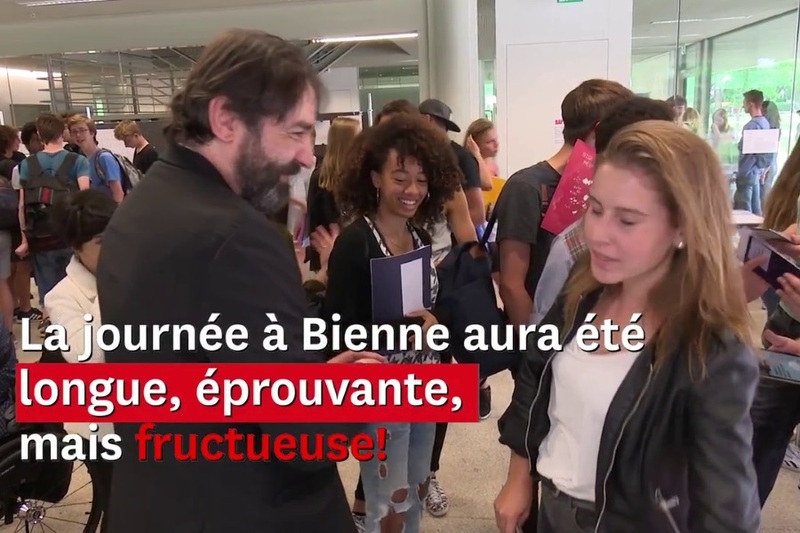 These events, designed to convince future students to enroll in our University, take him all year round from Lausanne to Kreuzlingen and from Lugano to Baden. In order to better get in contact with the students of Switzerland and elsewhere, this colossus with a salt and pepper beard can count on the help of three or four "sherpas". This is how he calls the Fribourg students hired to staff the stands of our University. Sherpas? He scoffs: "We call them so because they are not expensive ("pas chers"), but they do an extraordinary job." The proof is in these images taken at the Forum des Universités et des Hautes écoles in Biel. Academic information days for Swiss college students. A trilingual website (French, German and Italian): information about the event, registration form how-tos, FAQ. The website is accompagned by an information booklet with detailed day programms for all five University faculties. 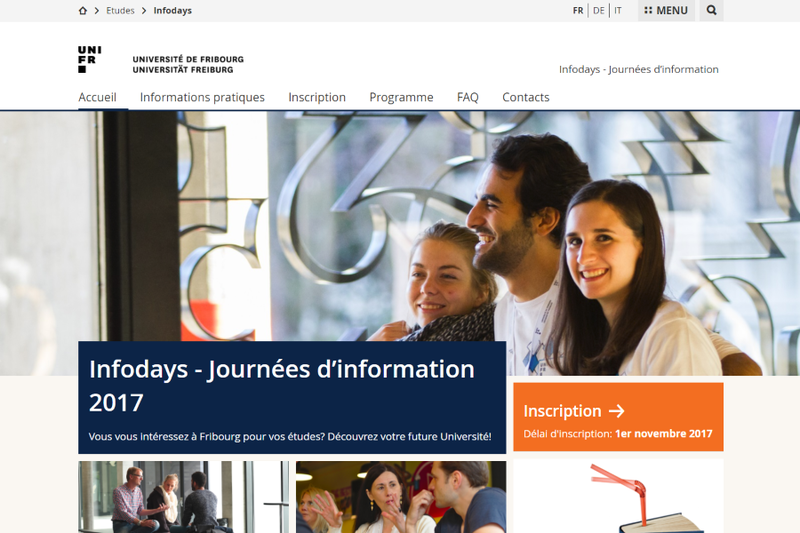 The Infodays are two annual all-day events (one in German, the other in French), during which over 2'000 college students from all over Switzerland are invited to explore the University of Fribourg, to discover the University academic offer and, eventually, to decide if the University of Fribourg will be their future alma mater of choice. 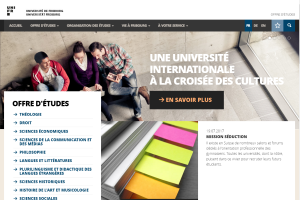 Expertise in information architecture, front-end web development, web accessibility and content management for the University of Fribourg Academic Studies information portal. 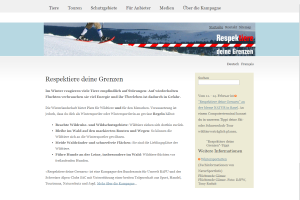 Campaign «Respect to Protect»: Swiss awareness campaign for animal protection zones in the context of winter sports. 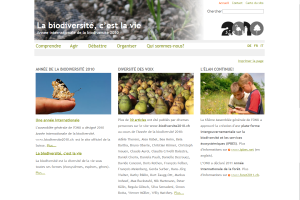 Campaign «Biodiversity is life»: International Year of Biodiversity 2010. A play by Terry Pratchett, adapted for the stage by Stephen Briggs. Co-directing with Alain Le Coultre (the stage play is currently in production). At the Théâtre de la Cité de Fribourg TCF, April-May 2018. 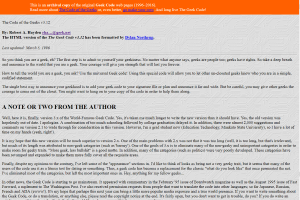 An archival copy of the ancient web page "The Geek Code", which disappeared in 2016 after 20 years of good and loyal services. Historical information about the Geek Code, as well as other similar codes of the '90s, will be added in due course. An Historical Internet Preservation Society Project. 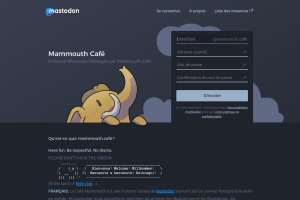 A Mastodon instance and an online community, limited to 640 people. 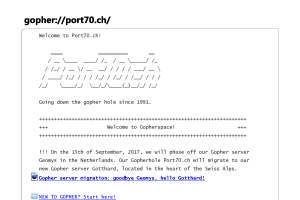 A Gopher server: still digging on! An Historical Internet Preservation Society Project. 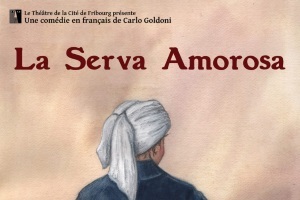 A play in French by Carlo Goldoni. At the Théâtre de la Cité de Fribourg TCF. Four short pieces by Guy Foissy. A special production for the 50 years celebration of the Théâtre de la Cité de Fribourg TCF. 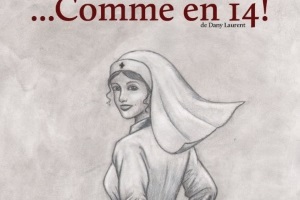 A play by Dany Laurent. At the Théâtre de la Cité de Fribourg TCF. 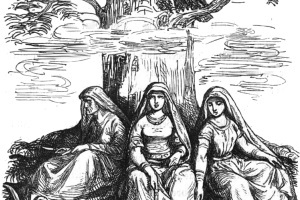 A play by Jean-Paul Alègre. At the Théâtre de la Cité de Fribourg TCF. Chosen pieces by Jean-Paul Alègre. 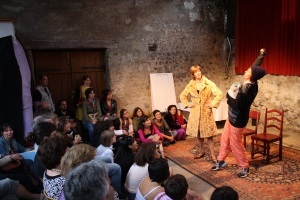 With the Ateliers of the Théâtre de la Cité de Fribourg TCF. Five stage productions to this day, and a sixth in the works for 2018. Invited Expert to the W3C HTML Working Group. Press officer and media relations attaché — Head of communication and marketing — Webmaster. ☞ Decode it in one go! Copyright © MCMLXX-2019 Grav. Tous droits réservés. Ce site est avec par Fleuron❦.